Jonathan Hodes practices insurance and environmental litigation. He provides practical and cost-effective advice to Canadian, American, and international clients on product liability, general liability, and environmental matters. He holds Canadian and U.S. law degrees and a large part of his practice involves assisting American insurers involved in inter-jurisdictional and cross-border claims. He has appeared in the courts of British Columbia, Alberta, and the Nunavut and Yukon Territories, as well as the Supreme Court of Canada. Jonathan has also provided opinion evidence in the Superior Court of Washington State. Insurance litigation: acting for Canadian, U.S., and international insurers in product liability and general liability claims involving personal injury, fire, and other property losses, as well as handling coverage issues under a variety of types of policies. Environmental: acting for local and international businesses, as well as property and liability insurers, in environmental matters arising out of industrial and commercial practices. Insurance: international, corporate, and Lloyd’s of London practice: acting for numerous international insurers in relation to cross-border liability and coverage issues, reviewing broker-drafted policy wordings, and being retained to provide opinion evidence in choice of law proceedings in Washington Superior Court. Jonathan has written frequently on insurance and environmental issues and is the author of Automobile Accidents in British Columbia: A Manual for U.S. Claims Examiners. 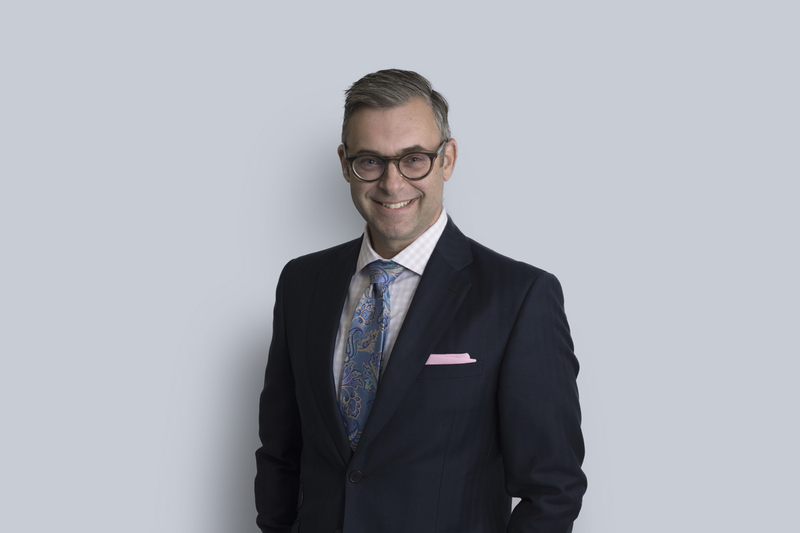 He has contributed to the Continuing Legal Education Society of BC’s Annual Review of Law and Practice and Motor Vehicle Practice Manual, the Canadian Journal of Insurance Law, various insurance industry publications, CDL’s Hearsay newsletter, and DRI’s For the Defense magazine. He is a regular speaker on insurance and environmental issues in Canada and the United States for various organizations including Canadian Defence Lawyers, Washington Defense Trial Lawyers, the Canadian Insurance Claims Managers, Canadian Independent Adjusters and BC Insurance Brokers Associations, the Insurance Institutes of BC and Alberta, and the Canadian Bar Association. He has delivered seminars accredited by the Washington State Office of the Insurance Commissioner to assist U.S. claims professionals dealing with claims in British Columbia. He is a past president of Canadian Defence Lawyers and an active member of DRI’s Product Liability Committee, as well as an elected member of the International Association of Defense Counsel and Association of Defense Trial Attorneys. Appearing in the Supreme Court of Canada on behalf of the successful appellant in Family Insurance v. Lombard Canada, now the leading case in Canada on overlapping coverage between liability insurance policies. Appearing in the BC Court of Appeal on behalf of the successful appellant in North Newton Warehouses Ltd. v. Alliance Woodcraft Manufacturing Inc., a leading case in the area of “tort immunity” arising out of insurance covenants in commercial contracts. Successfully obtaining the production of government documents over which cabinet privilege was claimed in Nunavut (Department of Community and Government Services) v. Northern Transportation Company Ltd. Successfully challenging the court’s jurisdiction under the Court Jurisdiction and Proceedings Transfer Act and obtaining stays of proceedings in several actions, including Roed v. Scheffler and Sekela v. Cordos, in which U.S. parties were sued in British Columbia. Defending product liability claims arising out of such diverse products as gasoline, automatic doors, food products, sporting goods, electronics, furniture, and construction materials. Being retained by defence counsel in choice of law proceedings in the Superior Court of Washington to provide opinion evidence of BC product liability and damages law. Defending a major Texas oil trader in a multi-million dollar lawsuit arising out of the supply of fuel to a Canadian Territorial government. Defending multiple actions, including class action proceedings, arising out of the catastrophic collapse of a church floor during a rock concert. Regularly assisting U.S. and out-of-province Canadian insurers with cross-border coverage issues arising out of claims involving non-BC residents. Advising insurers on environmental coverage and exclusions. Providing coverage opinions and handling disputes involving coverage denials, priority disputes between insurers, and equitable contribution claims. Acting for highway maintenance contractors in “black ice” MVA cases. Representing insurers in relation to SIU investigations and denials of fraudulent claims. Handling numerous defamation actions including several arising out of newspaper publications, television broadcasts, and anonymous postings on Internet bulletin boards. Successfully defending a $300 million loss-of-profits claim against a major educational institution, resulting in a dismissal of the claim and $1 million costs award in favour of the client. Reviewing broker-drafted wordings for enforceability and drafting policy language for inclusion into various forms of liability and property coverage. Representing a major forestry company in proceedings brought under the Forest and Range Practices Act. Acting for a developers, natural resource companies, and dry cleaners in respect of historical and off-site contamination under BC’s Environmental Management Act. Successfully defending a general contractor in Swamy v. Tham Demolition, the first decision to address the BC Supreme Court’s jurisdiction to deal with cost recovery actions brought under the Waste Management Act. The decision has led to changes in British Columbia’s contaminated site legislation. Acting in a case involving dumping and alleged interference with water tables and wildlife habitats on Vancouver Island. Acting for a chemical company in a case involving historical contamination over a 40-year period on an industrial site in North Vancouver. Advising clients on issues of environmental coverage and exclusions in insurance policies.